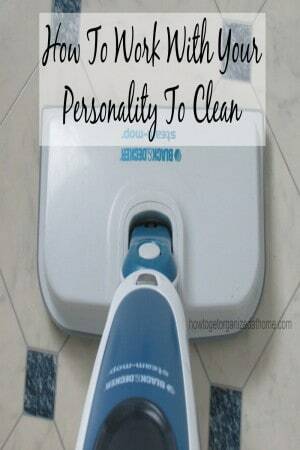 Have you ever wondered about how people clean differently to you? Sometimes they are more over the top, complete neat freaks and yet there is the other extreme who really don’t care to clean at all. Sometimes it is even possible to experience one or more of these personality traits during the course of our lives if your circumstances change or you suffer from an illness where you have to look at what you want in life and make those necessary sacrifices to ensure that you are doing the best that you can. If you are a neat freak and you get stressed when the simplest item is out-of-place, no-one can help you because they are unable to do the job to your standards. This is a difficult life, I have been there, you are unable to let go of even the tiniest of details. Pushing away any sort of help means that it all falls on your shoulders. Who is going to help when you just redo the task to how you feel and make that person feel inadequate to clean? Yes, I am not proud to have been this person, but it’s the way I copied with life, I would vacuum every day, often more than once per day. There were always homemade cakes, or biscuits available and tea was always on the table by a set time. I thought this made me the perfect housewife and mother, I must have been unbearable at times! However, it doesn’t stop me realizing that it is still OK to clean like this if you want to, often it is best to stay out-of-the-way and let them get on with it, cleaning is very much part of their day and it won’t change. I think this describes me better now, I suffered a complete breakdown and somehow I had to put my life back together and accepting the help was just part of that process. Knowing that it mightn’t be perfect is something that I deal with on a daily basis, but also aware that it is better than if it wasn’t done at all keeps me motivated to continue. I don’t cope well if I become overwhelmed with a task and so I still have to keep on top of the daily cleaning but often I have to admit that it isn’t perfect. It is about knowing what you need to do on a certain day of the week. 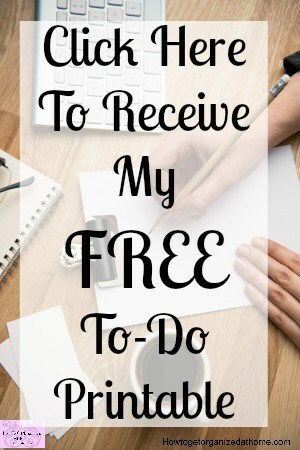 It is about having a schedule and getting the help you need to ensure that chores get completed; however, it is not the end of the world if something needs rescheduling; I have the biggest problem with not getting something done and beating myself up about letting my family down. I think this might sound to mean and uncaring but in reality sometimes it is when someone is at their lowest point that this behaviour is clear. It is about the responsibility, part of living in a clean home, as adults it is part of adulthood, accepting that we have to clean and live in a clean home is difficult and often the transition meets a few hurdles on the way. Reaching rock bottom and living in a place that is not clean is not healthy, but sometimes it is difficult to change or to find a way out. It is part of a cry for help, a mental health problem or a feeling of being overwhelmed. Accepting that you need help is the first hurdle, it could be support or understanding. I have been here too, it is not an easy place in your mind to live when you truly don’t care about your environment where you are living. You just don’t see the dirt and the grime and sometimes you just don’t have that motivation to get anything done. This is why it is important to get some help. I think house cleaning is not one solution fits all, it will depend on what you feel and how it best works for you. If you are a clean freak, accepting that is fine, whilst I did everything I didn’t feel overwhelmed at the task it was just doing what’s needed. The one time that was when I needed the most help was when I was living in total chaos. It took time to move forward from this and I am now happy living in our home which is clean but by no means perfect, maybe one day I will be back there with the perfect home, but at the moment, I am happy with the place I am in now. I have settled on “cleaned but lived in…it still bothers me at times but I realize that that is the right choice for me and my family! Thanks for another great post! I’m okay with neat but lived in–especially being pregnant with two littles at home. I have more important things to do than housework! My clean personality is clean but lived in. I like the homey look. Thanks for linking up at #HomeMattersParty this week. Hope you will link up again next week. Many years ago I was controlled by time – tasks had to be completed by a certain time or I would freak out. Then I had a minor breakdown and went the other way, it was a complete battle to get anyone to keep their space tidy so I gave up. Now, I make sure my home is company ready and deep clean when the mood comes over me. I am happier and my home always look tidy, even if cupboard contents need attention. I’m the slob trying to recover. Now that I’m in a tiny trailer, with just me, I’m hoping I can get it to neat, and keep it there. Bless you Melinda 🙂 You moved then! Hope you are settling in!